Derived from deep family roots, owner Brad Long’s belief that “food is fuel, food is medicine and food is love” comes to life at Cafe Belong. It is located in Evergreen Brickworks, Canada’s first ever large scale community environmental centre with farmers markets, hiking trails, day camps and an eclectic range of shops. This fully encompasses the sustainable business model Brad has developed for his restaurant. Brad’s expertise, skills and passion in the industry have led him to other great accomplishments aside from Cafe Belong and Belong Catering, such as Co-hosting the Food Network smash hit Restaurant Makeover, and he is currently in post-production of a new provocative food documentary. As an active advocate for sustainable farming and ethical treatment of livestock, Brad completely represents those principals in the Cafe Belong’s menu. Not only does Cafe Belong support the farmers and artisans in their own back yard at the Evergreen Brickworks farmers market, they also select suppliers based on the quality of the product and consider sourcing from farmers who adapt ethical production methods and hold sustainable food farming certifications such as ocean wise or certified organic. Cafe Belong’s menu presents as seasonal with various vegetarian and vegan options. They have sustainable internal decor such as 100 percent recycled products. It is no wonder why Cafe Belong holds a LEAF [Leaders in Environmentally Accountable Food] level 2 certification and are a Feast ON Designated Restaurant. All of this on top of being rewarded as VQA Restaurant Award of Excellence and Globe and Mail Top 10 restaurants of the year in 2014. 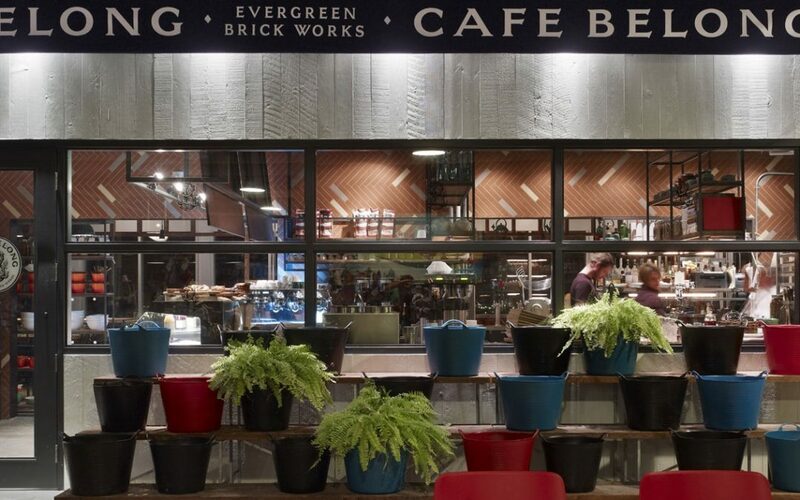 Cafe Belong has proven time and time again that a culture that supports sustainable food practices as well as community involvement is held in high regard at Cafe Belong with their new venture with Restaurant for Change. Cafe Belong, alongside many other restaurants across Canada at the Restaurants for Change event held on October 18th 2017, donated dinner food sales to support community food programs in low-income neighbourhoods. The creation of Cafe Belong puts Brad at the top of his culinary career. Cafe Belongs dedication to creating an experience that is sustainable, ethical and gives back to the community that supports them is truly an experience worth appreciating, don’t miss out on the unique atmosphere and delicious cuisine. Interested in learning more about LEAF Certification and the social and economic benefits? To share in the conversation please follow us on Facebook or Twitter, or contact us directly here. You can also join us in the Eco Pavilion at RC Show 2018 in Toronto from Feb. 25-28. Don't worry we don't sell or publish our list.